One of my greatest friends Tammy shared this recipe with me. She is probably the only person I know who loves chili as much as me. This recipe is very hearty. 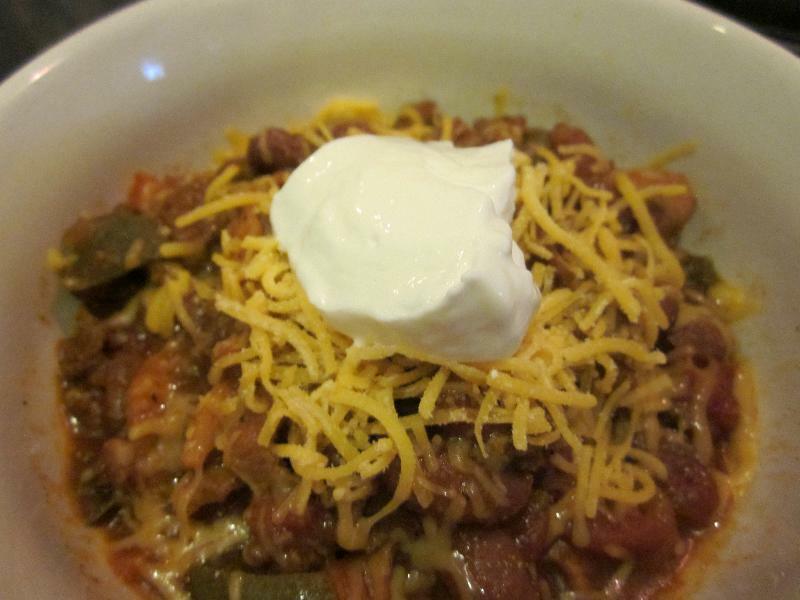 I admit I was a little leary of all of the ingredients, but this turned out to be a fabulous bowl of chili. It was very hearty and filling! 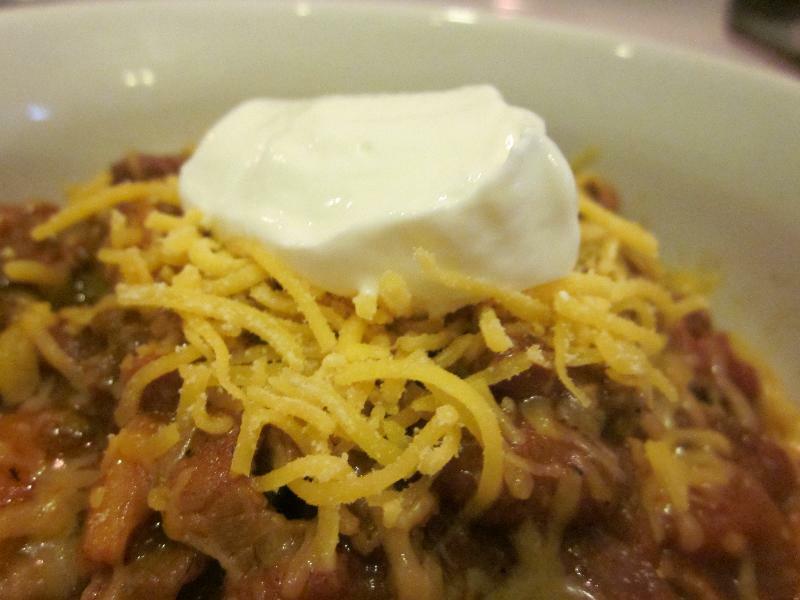 Warning - This recipe makes a huge amount of chili. For my small family I will need to cut the recipe in half. You could easily make this in the crock pot instead of on the stove. In large stockpot over low heat put in the bacon and cook. Do not drain. After the bacon was cooked I did chop it up into smaller pieces. Next add the beef. Cook until it is brown. Do not drain. Then add the pepper,carrots, and the onion. Cook until softened. Then add the sugar, water and seasonings. Cook all day over low heat. Top with cheddar cheese and enjoy!